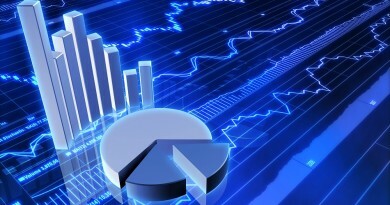 Profits generated by some organized criminal activities, such as drug trafficking or traffic in human beings, cause a threat not only to public safety, because of the huge economic power accumulated by a number of criminal organizations, but also financial systems themselves and to economic development. Recent events showed that terrorist groups build financial empires, the purpose of which are specifically to undermine public safety and international financial stability. Money laundering has an adverse impact on economy and political stability of country and hence such an activity must be curbed with an iron hand. Therefore, nations of the world must join hands and adopt measures to dismantle syndicates engaged in money laundering by resorting to aggressive enforcement of law. An attempt has been made in this article to explain the concept, significance and its impact. People have used money-laundering techniques to move money resulting from crime – but also often to hide and move it out of reach of governments – including oppressive regimes and despotic leaders. Many minorities in countries down the ages and around the world have taken steps to preserve wealth from rulers, both unelected and elected, who have targeted them simply because of their beliefs or color. Law enforcement agencies of many jurisdictions have set up sophisticated systems in an effort to detect suspicious transactions or activities, and many have set up international cooperative arrangements to assist each other in these endeavors. In a number of legal and regulatory systems, the term money laundering has become conflated with other forms of financial and business crime, and is sometimes used more generally to include misuse of the financial system, including terrorism financing and evasion of international sanctions. Most anti-money laundering laws openly conflate money laundering with terrorism financing when regulating the financial system. • The acquisition, possession or use of property, knowing at the time of receipt that such property was derived from an offense or offenses or from an act of participation in such offense . 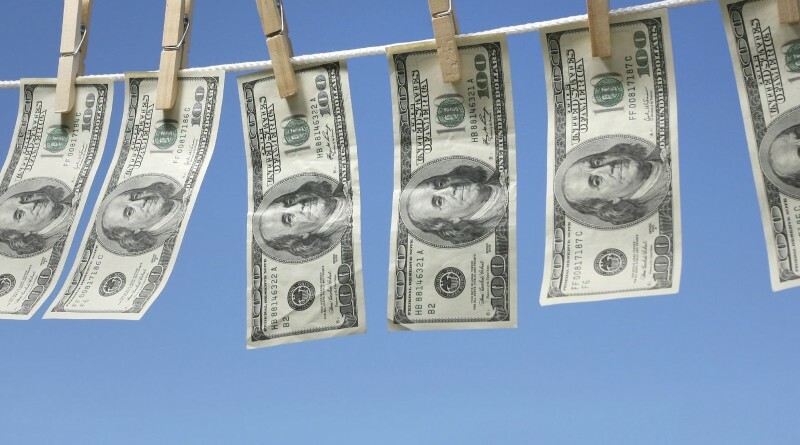 The Financial Action Task Force on Money Laundering (FATF)  defines the term money laundering succinctly as the processing of criminal proceeds to disguise their illegal origin in order to legitimize the ill-gotten gains of crime . The Vienna Convention limits predicate offenses to drug trafficking offenses. As a consequence, crimes unrelated to drug trafficking, such as, fraud, kidnapping and theft, for example, do not constitute money laundering offenses under the Vienna Convention. The international community has developed the view that predicate offenses for money laundering should go well beyond drug trafficking. FATF and other international instruments have expanded the Vienna Convention’s definition of predicate offenses to include other serious crimes , e.g. the Palermo Convention requires all participant countries to apply that convention’s money laundering offenses to “the widest range of predicate offenses” . In its 40 recommendations for fighting money laundering, FATF incorporates the technical and legal definitions of money laundering set out in the Vienna and Palermo Conventions and lists 20 designated categories of offences that must be included as predicate offences for money laundering . Money Laundering as an expression is one of recent origin. The original sighting was in the newspapers reporting the Watergate Scandal in the United States in 1973. The expression first appeared in a legal context in 1982 in America . The term money laundering is said to originate from Mafia ownership of laundromats in the United States. They needed to show a legitimate source for their money. One of the ways in which they were able to do so was by purchasing outwardly legitimate businesses and to mix their illicit earnings with the legitimate earnings. Laundromats were chosen by these gangsters because they were cash businesses and this was an undoubted advantage to people like Al Capone who purchased them . Al Capone was prosecuted, though not for money laundering but for tax evasion. Other historians differ from this inasmuch as they are of the view that money laundering is called so, because it perfectly describes what takes place illegal or dirty money is put through a cycle of transactions, or washed, so that it comes out at the other end as legal or clean money . Money Laundering as a crime attracted the interest in the 1980s, essentially within a drug trafficking context. It was from an increasing awareness of the huge profits generated from this criminal activity and a concern at the massive drug abuse problem in western society, which created the impetus for governments to act against the drug dealers by creating legislation that would deprive them of their illicit gains . 1. Placement refers to the physical disposal of bulk cash proceeds derived from illegal activity. This is the first step of the money-laundering process and the ultimate aim of this phase is to remove the cash from the location of acquisition so as to avoid detection from the authorities. 2. Layering refers to the separation of illicit proceeds from their source by creating complex layers of financial transactions. Layering conceals the audit trail and provides anonymity. This is achieved by moving money to offshore bank accounts in the name of shell companies, purchasing high value commodities like diamonds and transferring the same to different jurisdictions. Now, Electronic Funds Transfer (EFT) has become boon for such layering exercise. 3. Integration refers to the reinjection of the laundered proceeds back into the economy in such a way that they re-enter the financial system as normal business funds. The launderers normally accomplish this by setting up unknown institutions in nations where secrecy is guaranteed. New forms of business give a platform for integration exercise. Now a person can start a business with just a webpage and convert his illegal money to legal by showing profits from the webpage. Money laundering, at its simplest, is the act of making money that comes from Source A look like it comes from Source B.
Launderers are continuously looking for new routes for laundering their funds. Economies with growing or developing financial centers, but inadequate controls are particularly vulnerable as established financial center countries implement comprehensive anti-money laundering regimes. Differences between national anti-money laundering systems will be exploited by launderers, who tend to move their networks to countries and financial systems with weak or ineffective countermeasures . * Provides opportunity to criminals to hijack the process of privatization Contaminates legal transaction . Since money laundering is an international phenomenon, transnational co-operation is of critical importance in the fight against this menace. A number of initiatives have been taken to deal with the problem at the international level. The major international agreements addressing money laundering include the United Nations Convention against Illicit Trafficking in Drugs and Psychotropic Substances, popularly known as the Vienna Convention  and the Council of Europe Convention on Laundering, Search, Seizure and Confiscation of the Proceeds of Crime. The role of financial institutions in preventing and detecting money laundering has also been the subject of pronouncements by the Basle Committee on Banking Regulation Supervisory Practices, the European Union and the International Organization of Securities Commissions. The Vienna Convention. It was the first major initiative in the prevention of money laundering held in December 1988. This convention laid down the groundwork for efforts to combat money laundering by obliging the member states to criminalize the laundering of money from drug trafficking. The convention also establishes the principle that domestic bank secrecy provisions should not interfere with international criminal investigations . The Council of Europe Convention. This convention in 1990 establishes a common policy on money laundering. It sets out a common definition of money laundering and common measures for dealing with it. One of the purpose of this convention is to facilitate international cooperation as regards investigative assistance, search, seizure and confiscation of the proceeds of all types of criminality, particularly serious crimes such as drug offences, arms dealing, terrorist offences etc. and other offences that generate large profits. Basle Committee’s Statement of Principles. 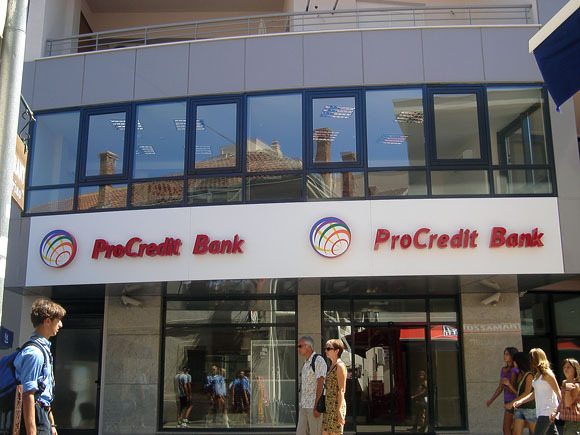 In December 1988, the Basle Committee on Banking Regulations and Supervisory Practices issued a statement of principles, which aims at encouraging the banking sector to adopt common position in order to ensure that banks are not used to hide or launder funds acquired through criminal activities. It seeks to deny the banking system to those involved in money laundering by the application of the four basic principles namely, identifying the customer, compliance with the laws, cooperation with Law Enforcement Agencies and adherence to the Statement. The Financial Action Task Force (FATF). The FATF is an inter-governmental body established at the G7 summit at Paris in 1989 with the objective to set standards and promote effective implementation of legal, regulatory and operational measures to combat money laundering and terrorist financing and other related threats to the integrity of the international financial system . The FATF has developed a series of Recommendations that are recognized as the international standards for combating money laundering and the financing of terrorism. They form a basis for a coordinated response to these threats to the integrity of the financial system and help ensure a level playing field. In April 1990, it issued a report containing a set of Forty Recommendations, which were intended to comprehensive plan of action needed to fight against money laundering. In October 2001, it issued the Eight Special Recommendations to deal with the issue of terrorist financing. In October 2004, it published a Ninth Special Recommendation, further strengthening the agreed international standards for combating money laundering and terrorist financing. United Nations Global Programme against Money Laundering. GPML was established in 1997 with a view to increase effectiveness of international action against money laundering through comprehensive technical cooperation services offered to Governments. The programme encompasses following 3 areas of activities, providing various means to states and institutions in their efforts to effectively combat money laundering: 1. Technical cooperation is the main task of the Programme. It encompasses activities of creating awareness, institution building and training. 2. The research and analysis aims at offering States Key Information to better understand the phenomenon of money laundering and to enable the international community to devise more efficient and effective countermeasure strategies. 3. The commitment to support the establishment of financial investigation services for raising the overall effectiveness of law enforcement measures. In consequence, Money Laundering is global problem and must attract global concerns. Without international cooperation money laundering cannot be controlled. The criminals outsmart the enforcing agencies and deploy a team of experts like chartered accountants, attorneys, bankers mafia, to disguise their illicit money and masquerade it as legitimate income. These experts charge fee between 10 to 15% of the sum involved. The nexus between white-collared criminals, politicians, enforcing agencies and mafias cannot be ruled out. Development of new high-tech coupled with wire transfer of funds has further aggravated the difficulties to detect the movement of slush funds. The international nature of money laundering requires international law enforcement cooperation to successfully investigate and prosecute those that instigate these complex criminal schemes. Money laundering must be combated mainly by penal means and within the frameworks of international cooperation among judicial and law enforcement authorities. Last but not the least it is vitally important to keep in mind that simple enactment of Anti-Money Laundering Laws are not enough, the Law enforcement Community must keep pace with the ever changing dynamics of money Launderers who constantly evolves innovative methods which helps them to stay beyond the reach of law. 4. Chapter III, B., FATF. 5. FATF, What is money laundering? Basic Facts About Money Laundering, http://www.fatfgafi.org/MLaundering_en.htm. 6. Chapter V, A.,2., The Scope of the Predicate Offenses. 7. The Palermo Convention, Article 2 (2), http://www.undcp.org/adhoc/palermo/convmain.html. 8. The Forty Recommendations, Rec. 1; http://www.fatf-gafi.org/pdf/40Recs-2003_en.pdf. Chapter V, Criminalization of Money Laundering, of this Reference Guide. 9. (1982) 551 F Sup. 314, quoted in Gururaj, see infra note 17. 13. “What influence does money laundering have on economic development?” available at http://www.fatfgafi.org/pages/faq/moneylaundering/ (accessed on 16th May 2015). 14. Chapter-IV Money Laundering in India: An Offshoot of Drug Trafficking available at http://shodhganga.inflibnet.ac.in:8080/jspui/bitstream/10603/18155/10/10_chapter4.pdf (accessed on 14th May 2015) Pg. 12-13. 18. Kathryn L. Gardner, Fighting Terrorism the FATF Way, Lynne Rienner Publishers, Vol. 13, No. 3 (July– Sept. 2007), pp. 325-345.